We carry good quality beverage holders that can help you savce more money. 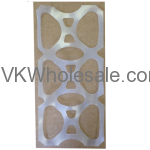 Our Six Pack rings are very good quality and can fit all kinds of standard 12oz size cans. Liquor store owners and convenience store owners can take advantage of low priced 6-pack rings and plastic bottle carriers. 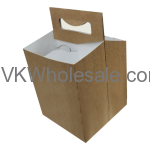 Minimum quantity for "Kraft Cardboard 6-Pack Carrier 150CT" is 1. Minimum quantity for "Pallet Deal Six Pack Rings 4300 CT Roll - 50 CASES - $120/CS Delivered Pallet Deal" is 50. Minimum quantity for "Six Pack Rings 4300 CT Roll" is 1.